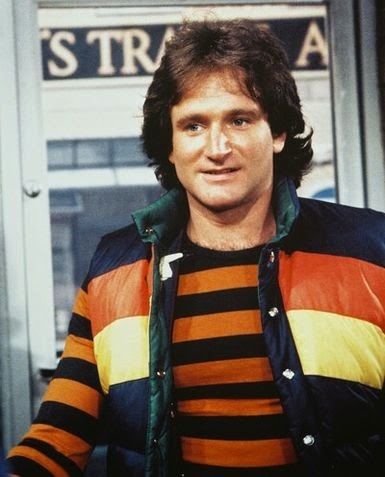 "Now that Robin Williams is gone, might I request that people not post about how they don't understand why someone so beloved and so successful would 'do that kind of thing.' That's not the way depression works. When depression is severe, circumstances do not matter. That's why it is so horrible. 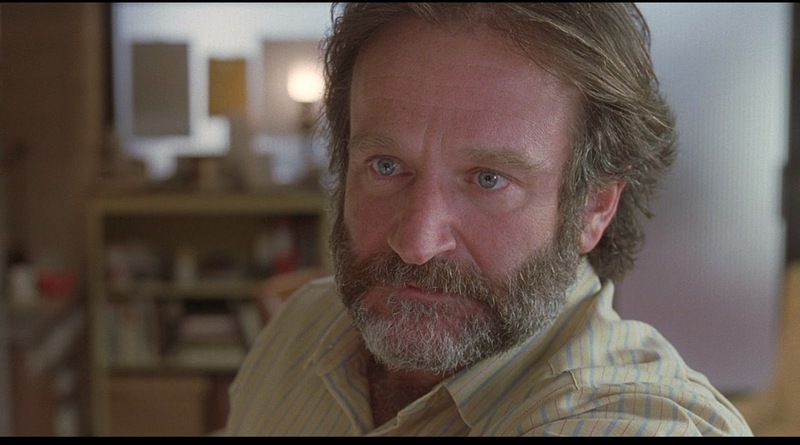 Let's not imply that Williams was an idiot who didn't see how good he had it." We need to get some things straight, though, I think -- beyond that. Robin Williams did not "pass on." He killed himself. He hanged himself. This needs to be acknowledged. However, we also need to be careful about calling it a "choice" that he made. For years, in western culture, suicide has been called a "cowardly" act. Some still use the term. (Shepard Smith on Fox just got some flack for using the term in reference to Williams.) In Roman and Japanese cultures, in the past, suicide has been seen as an honorable way to end things. But, in modern times, suicide is neither cowardly nor laudable; it is a result of profound and all-consuming depression -- a depression from under which the sufferer cannot seem to crawl. I watched my dad suffer from depression. When he was at his worst, nothing helped, in terms of perspective. It was too late for logic. It was too late for, "Hey, look at your wonderful family and grand kids," etc. (Though, I have to say, and not much to my surprise, the one thing that gave him any pleasure seemed to be his dogs... God bless dogs, but even they were not enough to blow away the clouds.) My dad did not kill himself, but I witnessed the smothering blanket of depression and its effect on him. It is not just a state of being sad; it's being pinned down by sadness. Sometimes prescription drugs help; sometimes they don't. The best thing I have heard in all of this aftermath to Williams's death, is something his friend, Dom Irrera, said in a radio interview. He said (I'm paraphrasing) that that was not Robin. Robin would never have left his family and his kids. This is what people need to understand. Suicide is not a "choice" for someone who is severely depressed -- at least not in the sense of thinking something over and then acting. It is almost like the push of an invisible hand. I post this not as anecdotal evidence of the power of God, but as support for the idea that the mind of someone suicidal is not, in the strictest sense, "made up." It's a shove from the shadowy hand of depression. So, yes -- I would guess Dom Irerra was right about his friend. Robin Williams would probably have wanted deliverance if he died by falling. Sadly, he didn't have the span of a free-fall in which to think. Looking at this thing -- or any suicide -- with a simplistic eye, in any case, is not okay. He's not a coward; he's not a hero; he was a man facing a challenge that was too big for him. He lost a contest that would have required super-human strength to have won. Most of us don't have that strength; therefore, stone-casting is not allowed. And he seemed like a really nice guy. We can all agree that it is very sad. I hope he can see from above that his loss has been felt by many and that his pride in his life's achievements overrides any guilt for what he did in the heat of an overwhelming moment. Let’s also point out that who knows what physical factors were also contributing to RW’s struggle with depression. It is noted that people who have heart surgery often struggle with depression afterwards. RW had heart surgery four years ago. So you have a person who struggles with depression and then it gets amplified perhaps by physiological issues too, making it even harder to deal with. Dad had depression on his own, then Lewy Body dementia caused depression AND Lew Body prevents the brain from processing things logically. So...quite a load to carry. Quite a load, indeed. Further reason for not judging, for sure. Drawing conclusions based on one's own circumstances about people in totally different ones is so very common. If you spend your whole life in a green-painted room, you can't blame the person who lives his in the blue room for not thinknig enough about trees and grass. I love the point about the dogs, Chris. Beware of (often well-intentioned) people who want to tell others that their dogs, their books, their bottle-cap collection or comic books or balls of twine (or whatever) are mere clutter, and that they'd be better off without them. The more I think and write about dogs, the more I want to spend my life surrounded by them. It's true: we all need our own special "stuff" around us.